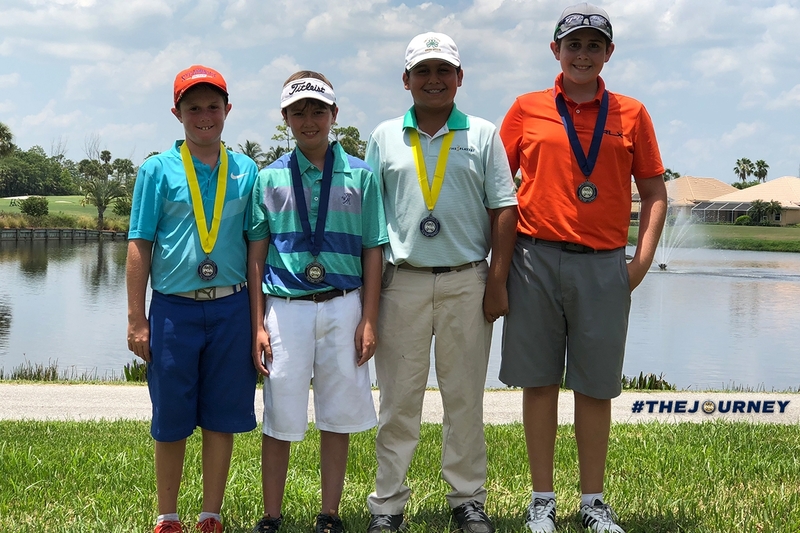 July 26th 2018 - West Palm Beach, Fla. – Today, the South Florida PGA Junior Prep Tour presented by The Honda Classic held the eighth Prep Tour Event of the 2018 season at the Preserve at Ironhorse. This event featured a field of 72 players aging from 9-18 years old. The juniors competed in intense heat on this sunny July day. Tristian Wieland of Jupiter captured the boy’s 9-10 age division shooting a round of even par, 72. Jupiter native, Reid Korody, was runner-up in the boy’s 9-10 age division with a round of 2-over par, 74. Stefan Daley of Palm Beach Gardens took home the boy’s 11-12 age division with a round of 3-over par, 75. Parkland native Rafael Frias finished runner-up in the boy’s 11-12 age division after a round of 6-over, 78. Palm City native Patrick D’Amato captured the boy’s 13-18 age division with a round of 5-over par, 77. Matthew Sample of Wellington took home the runner-up spot in a scorecard playoff shooting 79 in the boy’s 13-18 age division. Yi Liu of Port St. Lucie Florida captured the girls 9-10 age division shooting a 105. Port St. Lucie native, Yu Han Wang took second shooting a 124. Layla Pedrique of West Palm Beach took home the girls 11-12 age division after a round of 4 over par, 76. Hobe Sound native Morgan Pichler finished runner-up in the girls 11-12 age division after a round of 80. Zi Yun Lin of Port St. Lucie took home the girls 13-18 age division in a scorecard playoff with a round of 84. Jupiter native Theodora Scott finished runner-up in the girls 13-18 age division after a round of 84.